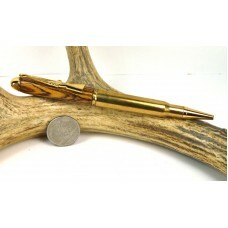 These pens incorporate a rifle cartridge in their design I at present do several different calibers everything from a 7.62x39 to a 50cal but can most any cartridge. 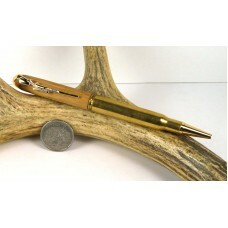 I offer them with either a standard pen nib or real bullet nibs. 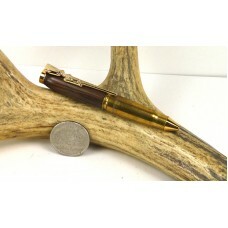 Icommonly use deer antler water buffalo horn or camouflage acrylics for the top half of the pens but I can ofcourse use other materials as requested. 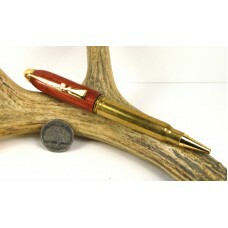 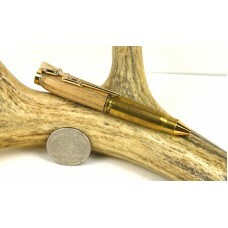 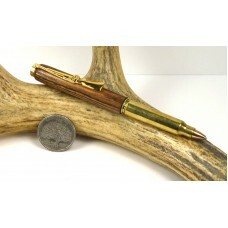 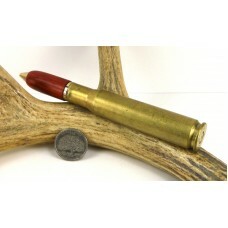 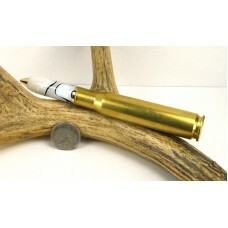 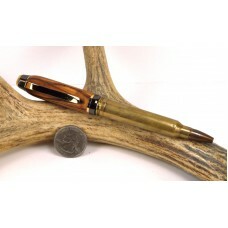 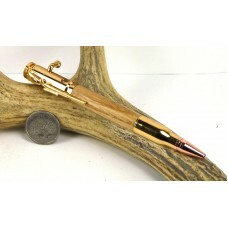 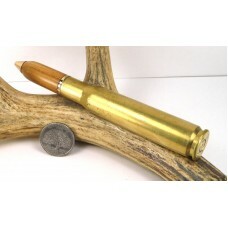 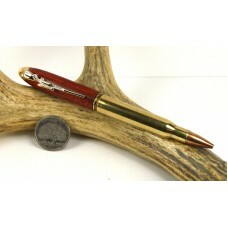 Made from an actual once fired 7.62x39mm Rifle Cartridge.The 7.62×39mm round is a rifle cartridge .. 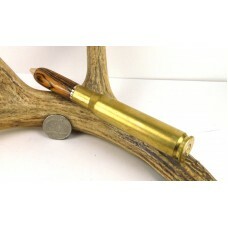 The realistic bolt-action handle smoothly advances and retracts to securely lock the refill in pla..
Made from an actual once fired .50 cartridge. 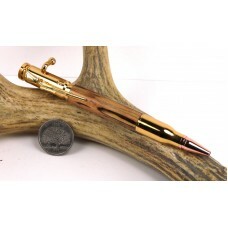 The .50 Browning Machine Gun (.50 BMG) or 12.7×99mm NA..
Made from an actual once fired 30-06 cartridge.The .30-06 Springfield rifle cartridge gets its name ..
Made from an actual once fired .300 Winchester magnum cartridge with a real solid copper bullet as t..
Made from an actual once fired .308 cartridge.The 7.62×39mm round is a rifle cartridge of Soviet o..
Made from an actual once fired . 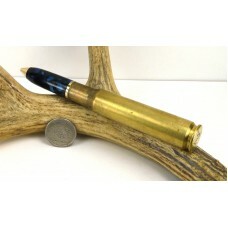 cartridge.The .338 Winchester Magnum is a .338 in (8.6 mm) caliber,..
Made from an actual once fired 30-06 cartridge with a real solid copper bullet as the nib.The .30-06..
Made from an actual once fired .223 cartridge with a real solid copper bullet as the nib.The .223 Re..